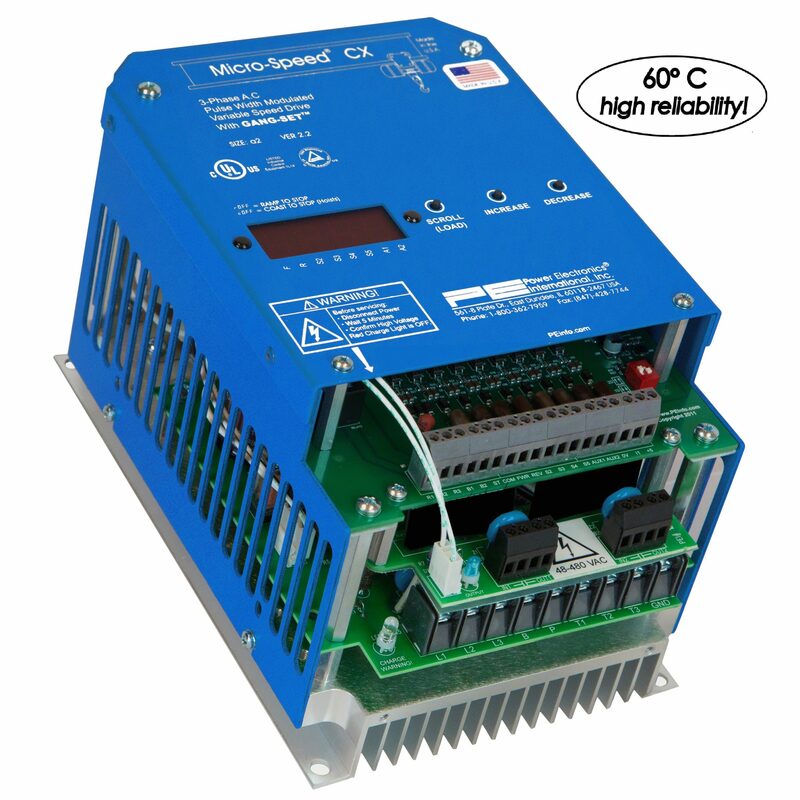 The Micro-speed® CX™ series variable speed drives are heavy-duty industrial VFDs with the highest current and temperature ratings in the industry. Ideal for motors 1-40 HP, models available in all 3-phase voltages (208 – 600V). The versatile and heavy-duty Micro-Speed® CXR™ VFD Series (Standard Brake Relay). 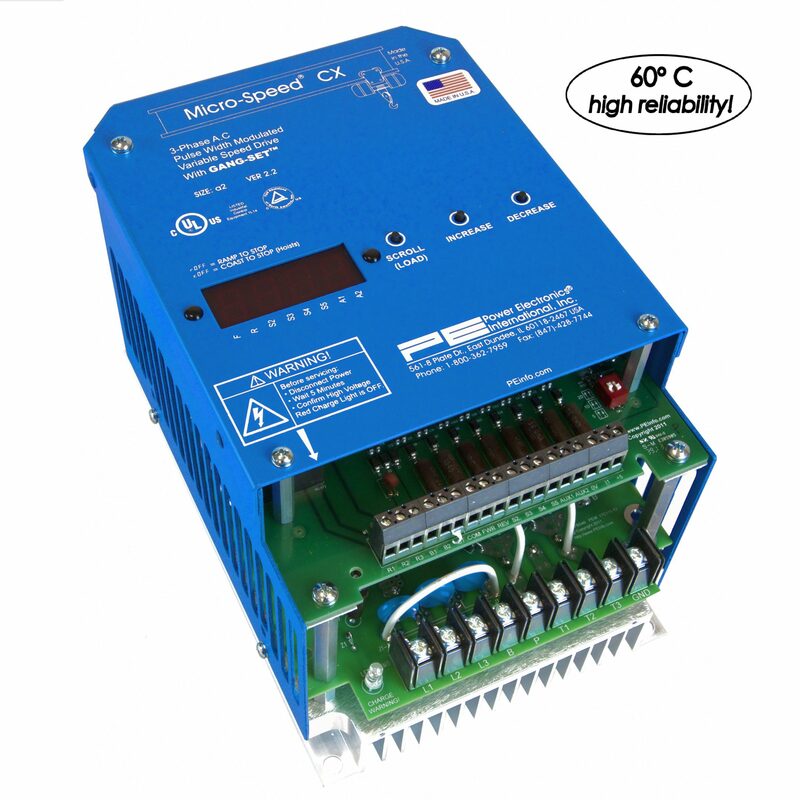 The versatile and heavy-duty Micro-Speed® CXRP™ VFD Series with Solid-State Brake Board (for travel motions).